orders to regulate third party funding in arbitration. Chinese Arbitration Association, Taiwan's leading international arbitral institution. Arab Emirates, both positive and negative, that impact upon the UAE's goal of becoming a world-class international arbitration forum. 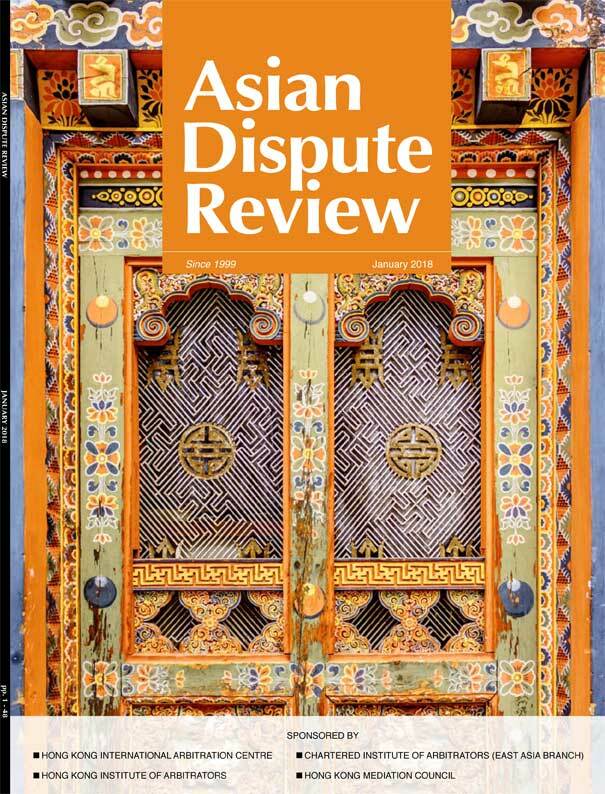 Nakul Dewan’s new textbook, Enforcing Arbitral Awards in India, is then reviewed by Sheila Ahuja. This issue concludes with a report on Hong Kong Arbitration Week 2017 by Navin Ahuja. We regret that this will be the last issue in which Navin G Ahuja serves as an Editorial Assistant. We thank him for the excellent support he has provided and wish him well in his future career. The editorial team would like to take the opportunity to wish our readers all the very best for 2018.